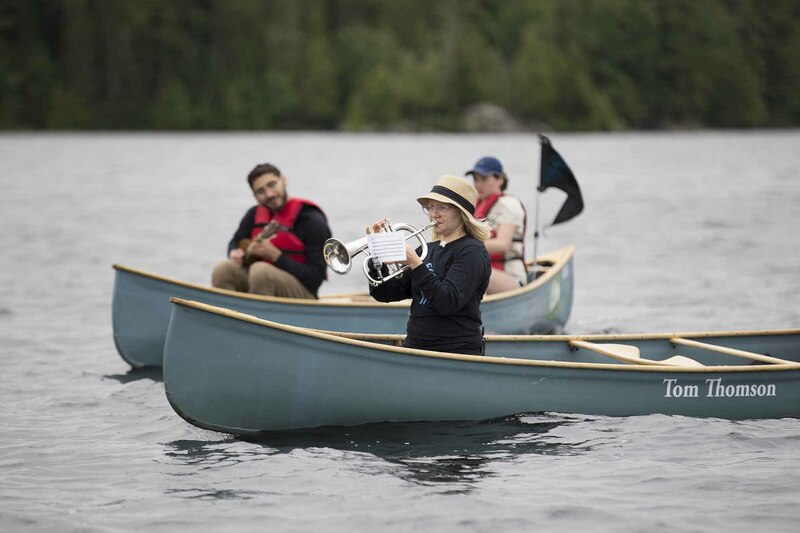 Occurring on the 100th anniversary of iconic Canadian landscape artist Tom Thomson’s drowning in Canoe Lake, Walde was accompanied by an eight-person synchronized swim squad, a five-person brass band playing Walde’s own 45-minute composition written for the occasion, a film crew and a flotilla of a dozen boats, including six canoes custom-painted in Thomson’s signature green. 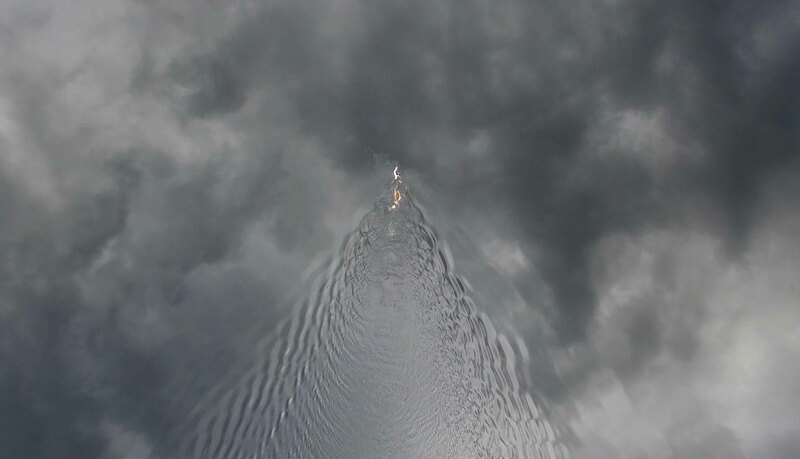 “The scariest part was when it was really choppy. 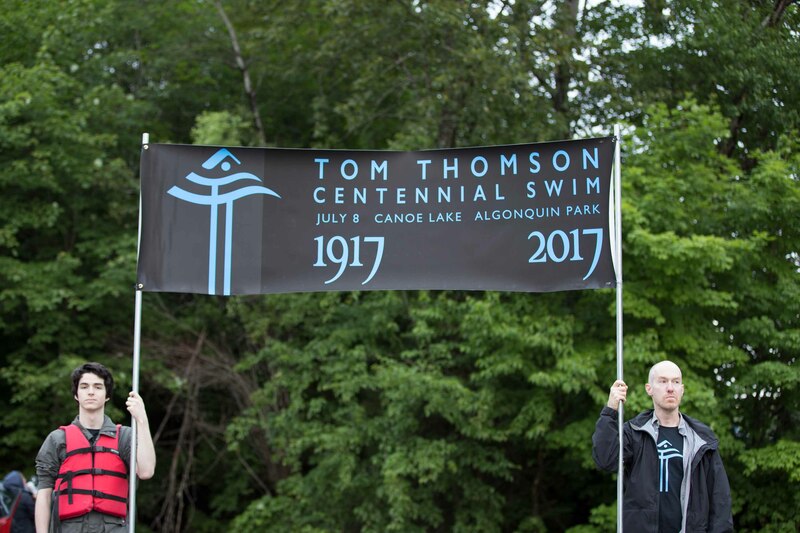 I got lost and disoriented and blown off course.” Ironically — and unintentionally — Walde ended up in the part of the lake where Thomson’s body was found and Walde almost had to call for help; but, by spotting the tall white totem pole erected beside the Thomson memorial cairn on the shoreline, he was able to reorient himself and complete his swim. With the site- and temporally-specific portion of the project now complete, Walde — chair of the Visual Arts department — turns his attention to the equally labour-intensive next stage: viewing, editing and preparing the footage for exhibit. 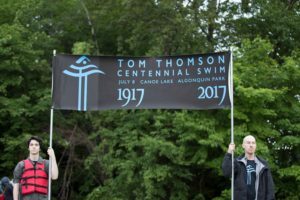 Walde feels the timing was right for this project on a number of levels: not only the centenary of Thomson’s death, but also his own age (“I’m 49, how much longer could I really wait to do this?”) and recent advancements in technology. 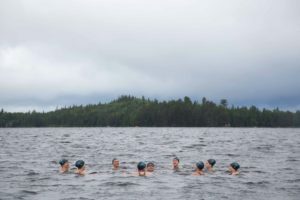 “There were a lot of ideas I had for the piece that we just couldn’t do 20 years ago: we wouldn’t have been able to have a flying drone or put a camera on my bathing cap and shoot 4K video.” As a result, the final exhibit will include surface, underwater body-cam and overhead footage, as well as recordings both underwater and of the accompanying band, and scenes of the locations featured in Thomson’s paintings. 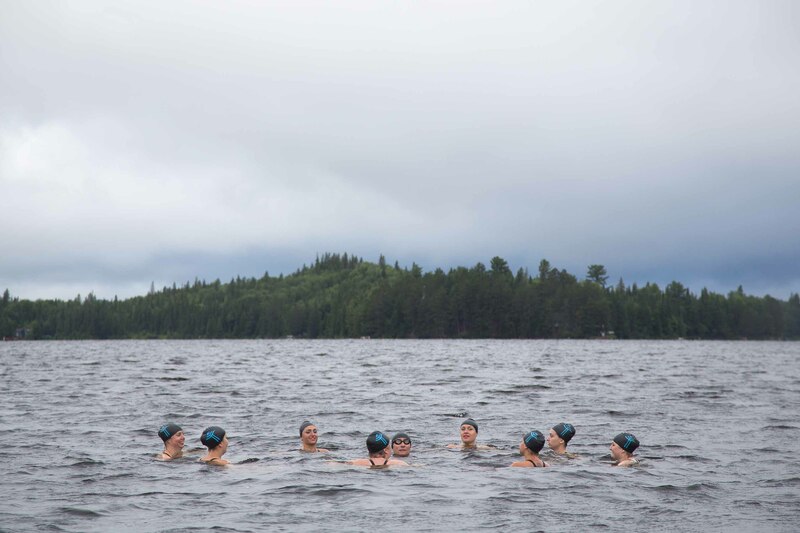 Walde was accompanied on his July 8 swim by a number of other Canadian academic artists, including University of Ottawa visual arts chair Andrew Wright, Fanshawe College visual arts chair Gary Spearin, Ottawa artist Adrian Göllner and recent Visual Arts alumni Brandon Poole and Laura Gildner; also witnessing the performance was Christopher Regimbal, senior exhibitions coordinator for the National Gallery of Canada.